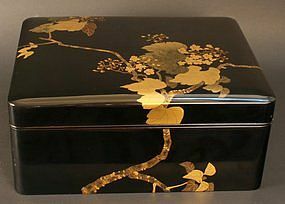 Taisho Period (1912-1926) Gold and Black Lacquer Obento Lunch Box/Picnic Box filled with symbolism of eternal love. 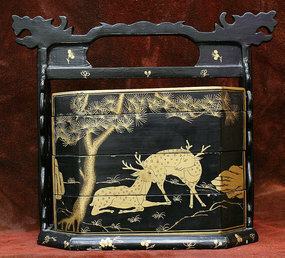 The deer and crane are symbols of longevity, and when they are paired they are symbols of eternal love. The pine tree is also a symbol of longevity. 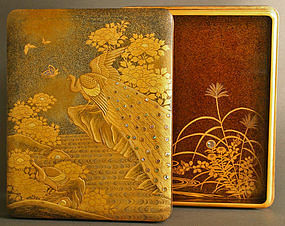 The pastoral scenes and gold flowers are beautifully rendered in gold lacquer on black lacquer. 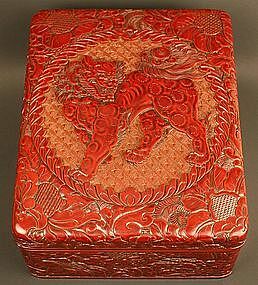 The handle is in the form of a pair of dragons. 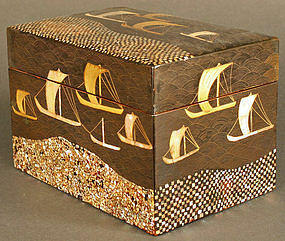 14w x 12h x 7d inches, 35.5w x 30.5h x 18d inches. 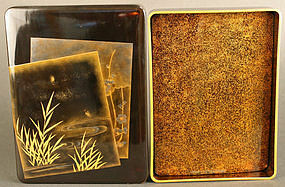 A Group of Japanese Meiji Period Gold Lacquered Wood Lotus Blossoms. 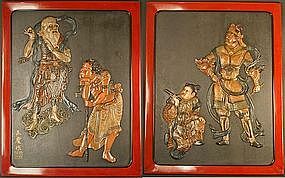 They were displayed on the altar of a Buddhist temple and represent rebirth and the cycle of life. 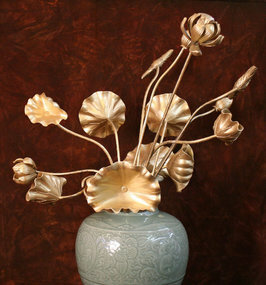 Each flower is depicted in a different state of maturity. Late 19th Century. Height of the tallest flower: 30 inches (76cm).